At Guidebook, we’ve done a lot to ensure that you can build the app you’ve envisioned. Ideally, you’re able to use our simple tools to get to where you’re headed without much friction. 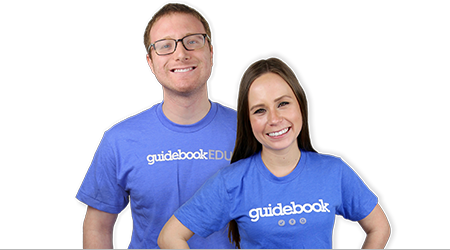 But anyone who has ever had any interaction with Guidebook’s Customer Success team will tell you that the experience is – to sum it up – an absolute pleasure. How did we take something that most people dread and turn it into a pleasant, positive experience? We invested in people. We train everyone in-house to become a product expert. We also strive to always be on the same page as our clients. The technology our reps use daily are the same tools you use, and our Customer Success team has a say in how we improve and develop our product offering. The result is 3 consecutive industry awards for customer service (2 Stevies for Best Use of Technology in Customer Service and 1 Stevie for Customer Service Department of the Year), thousands of happy customers, and you feeling like we’ve always got your back in critical moments. 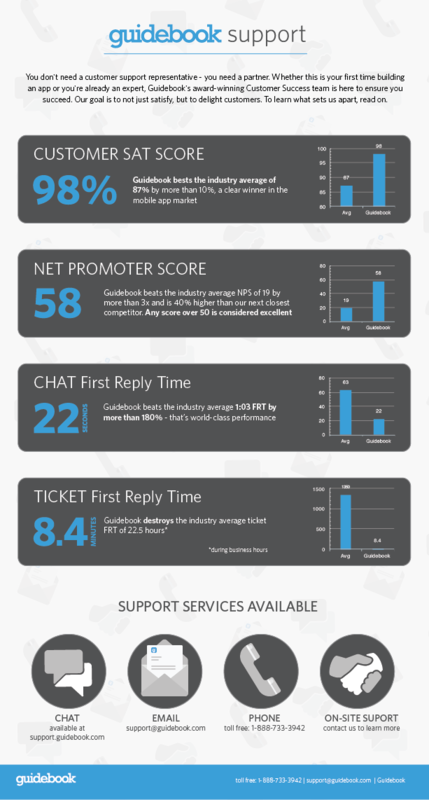 Looking to experience some of our support first-hand? Check out our library of superbly-written help articles.